At first, it seems counter-intuitive to cover your head with a big cloth while you're in the heat of the desert. We thought we'd want to let our head get some air to help beat the heat. But, as it turns out, it's all about keeping that bright sun off of your noodle. 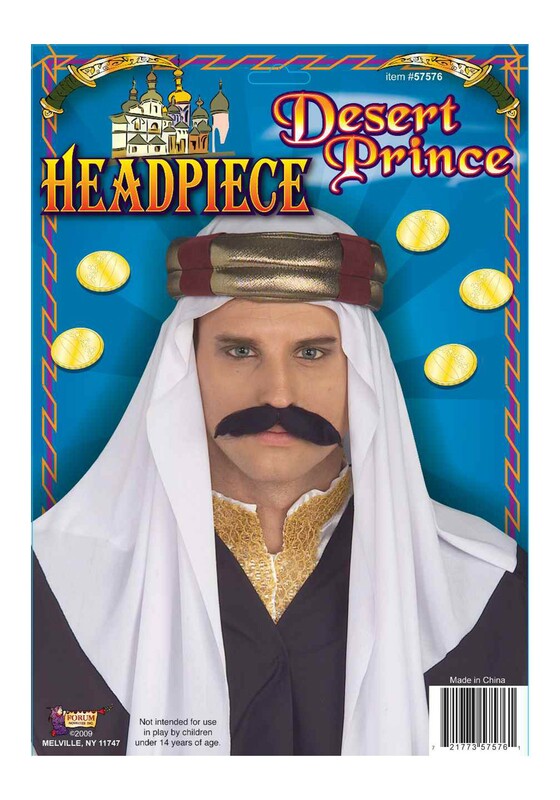 And the headpieces you get to wear in the desert look really dashing, so the fact that they also help keep you cool is a nice bonus! 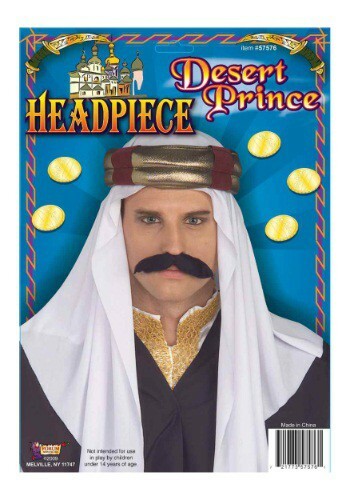 Now, you may not be an Arabian prince or a desert explorer (or maybe you are, we haven't caught up in a while), but you can still wear one of these Arab Headpiece costume accessories to have a look inspired by them. The polyester cloth is sewn to the elastic foam headband, so it's easy to fit and adjust. It's perfect for looking like an adventuring archaeologist, searching the desert for hidden wonders and ancient treasures!